Starting the game you are given three options of how you want the terrain to be, those options being either default, watery, steep, with one more option being hard mode offering a flat terrain, with this also offering less money and experience when playing this option. For my playthrough, I went with the default option, with this offering me one patch of land and 2K in cash to play with while I learn the ropes. All Easy stuff really, with the only confusing aspect early on being too much currency to kind of keep on top of, with the game having four in total. Next up you have medals, these are earned by completing quests, and even by using some of the more expensive resource buildings on offer. Quests ask you to grow a certain amount of things, which in return gift you the medals as well as some farm XP. These medals can buy you new things to help to make the process of growing your farm much easier. Take something like a gas pump or station. Upon buying one of these for this first time the game gives you a tractor. Before the tractor, you have to plough each square you wish to use for crops one by one. 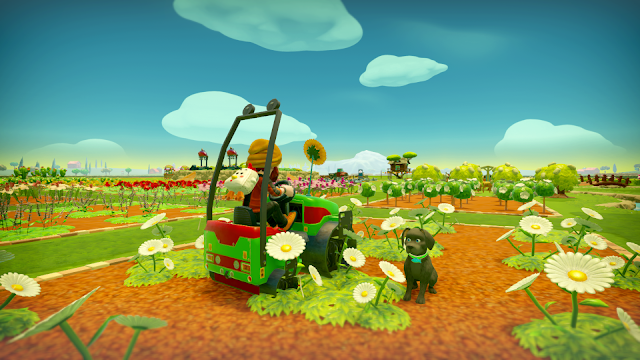 The tractor on the other hand lets you do nine squares at a time, making things like harvesting, watering and even plowing just an easier process. Buildings/stalls can also be bought with diamonds (which is perhaps the second most used of the four currencies on offer) which you earn by selling your produce to some of these stalls that you buy. Away from that diamonds can also be used to buy decorations, fences and roads for your farm too, with most of the things mentioned above also being locked away behind a farm level too, so you're always unlocking new things and the farm grows. 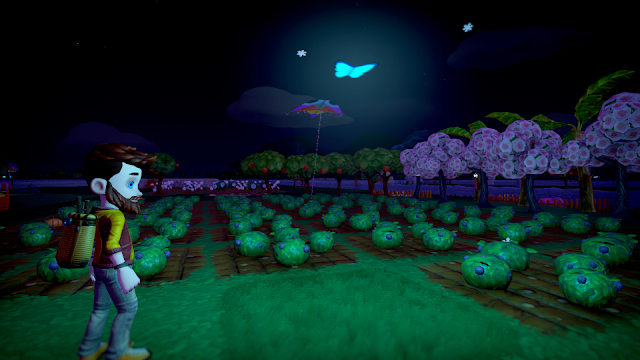 As a player, your character has a level growth much like your farm too, but his option can only be found in the main menu of the game. Here as your character levels up you unlock new clothes, hair styles, hats, glasses, and backpacks. You can also unlock new emotes, tractors and things to equip on them, pets and collars, and finally the look of your farm hands. No money needed here like I said, just simply level up your character while playing to unlock. Finally, tickets are earned by doing jobs in a tree house or home you have built, with the tree house I went for taking four days in real time to be complete, with the money needed too to complete each level of building every 24 hours. In here you can pretty much do up the house with things like wallpaper and floors to little bits and bobs, but the main goal is jobs which you do via your cooker, with resources and cash needed for each level of cooking. Any tickets earned will help you to purchase decorations for your house, something I can't say I spent that much time on once I did it for the achievement for doing the first one. In regards to other things that play a role in the game, seasons are a thing too. Seasons change every seventeen minutes in the game, with each season limiting what crops you are able to plant, and trees only being ready to be harvested upon a certain season too. Upon each season there is a small chance on some special weather effects too, with rain seeing crops being watered slowly, a sunny drought seeing watered plants and crops run out three times faster, to snow seeing crops not seeing the normal speeded watering benefit on them when normally watered. So on things like crops (the time it takes to grow flowers doesn't seem to change) if watered it knocks a bit of time off the growing process if watered regularly, which does help if you need a fast turn around for some cash. Online play is also something worth mentioning, with the game being a lot more less grind if you, of course, have friends along to join in with the graft. This all works great now after a somewhat shaky start at launch, with invites being the only way to jump into another farm, but the find farms option now works fine, with you able to jump in and help a random gamer out depending what power he has given to those joining his/her game. You can limit to what incoming players to your farm can do with the option to change this on the fly if the trust grows and they don't seem like they just wanna buy a 100 chickens with your hard earned cash. No permissions given to them just allows them to have a look about, but you can allow them to harvest, harvest only, complete quests and harvest, plant and harvest, with friends having the added option of building being added to that last option, or just being given full permission. 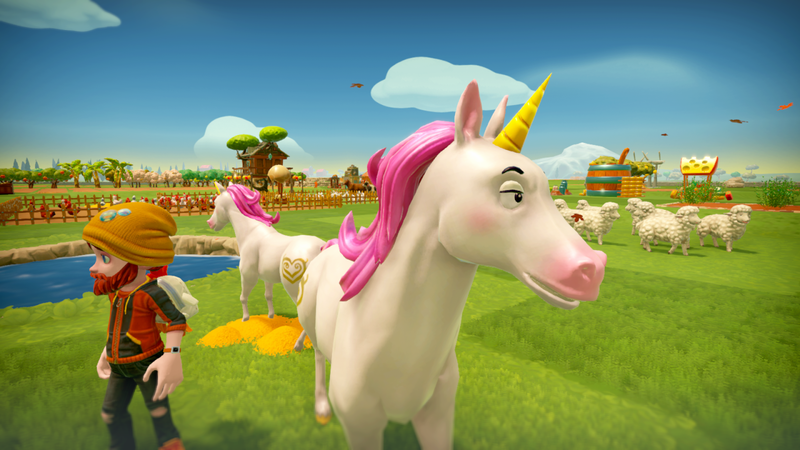 Players are greeted with a welcome message which you can choose from a list of options for, with them also able to sign a guestbook if you bought one from the decoration shop for 20 diamonds. 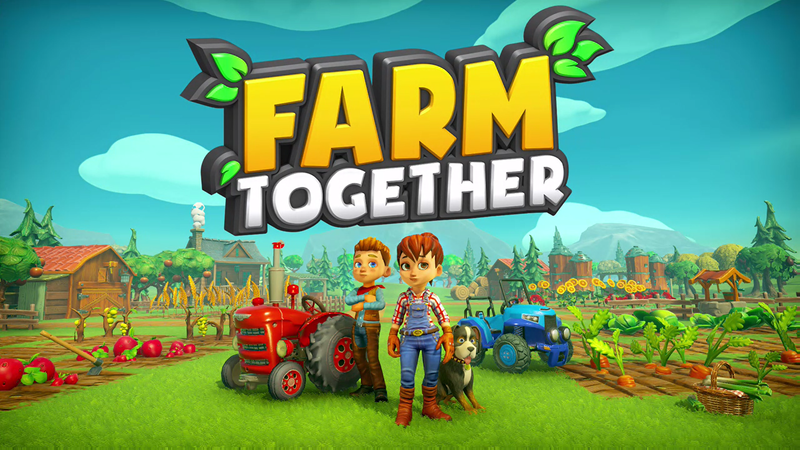 Overall: I've had a lot of fun with Farm Together in the time I've spent with it, that being so much time that it even reached a point where my Wife would ask how I was getting on with my farm every day after work. It can become a bit grinding and you will have times of you sitting about if low on funds, but for me it was a great game to just pass a few hours with and chillout, coming back to play again at night when the kids were in bed to collecting all my produce and start the pattern again. It's like the Destiny of the farming world, which might put a few of you off, but behind the grind of doing the same tasks over and over is a really fun game Certainly worth checking out. Sounds good! Wasn't to sure of it, thought it might have been a bit shallow but seems to have plenty going for it. I've been playing GraveKeeper and that "just one more days work" gameplay can be addicting! Planning to start Stardew Valley too. I like these types of games, glad their getting more popular but I prefer my "harvest and sell" games with a little twist. Like Gravekeeper, Animal Crossing or Moonlighter rather than more "real" games. Might try it out when a sale happens or something though!